Udupi: Violet Pereira, Proprietor and Editor in-chief of renowned web portal of coastal Karnataka - Mangalorean.com, will be honoured with �Karnataka Mahila Rathna� Award at the 6th Akhila Karnataka Belandingala Sahithya Sammelana, said Shekar Ajekar, Organising Committee President. He was addressing the mediapersons at the press club here on March 30. The 6th Akhila Karnataka Belandingala Sahithya Sammelana will be held at the Hanchikatte Mahamayi Temple premises, Yennehole Ajekar on 4 April 6 pm to 6 am the next day. Various programmes will be held for children, women and the youth. Book release, book and photo exhibition will be held in the moon light. 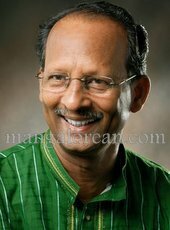 Writer, columnist and advocate A S N Hebbar Kundapur will preside over the programme. The sahitya sammelana will be held throughout the night with a series of programmes. Ambathanaya Mudradi, a well-known poet, will inaugurate the literary meet. Senior and junior achievers and organisations will be felicitated with Beladingala Sahitya Sammelana honourary awards. The sammelana will felicitate 18 achievers on the occasion. They are Vasudeva Bhat (Karnataka Kalavida Rathna), B Samaga (Karnataka Sanghathaka Rathna), Malar Jayarama Rai (Karnataka Madhyama Rathna), I K Boluvaru (Karnataka Sahithya Rathna), Subhaschandra Padival (Karnataka Tuluva Rathna), Kadandele Suresh Bhandari (Karnataka Samaja Rathna), Nandalike Balachandra Rao (Karnataka Sanghatana Rathna), C N Balakrishna (Karnataka Rajakiya Rathna), Nandalike Shirikanth Bhat (Karnataka Kambala Rathna), Dr Manohar Shetty (Karnataka Udyama Seva Rathna), Violet Pereira (Karnataka Mahila Rathna), Dr Laxmi G Prasad (Karnataka Janapada Rathna), Dr Gopal Acharya Balkuru (Karnataka Kastashilpa Rathna), Aziz Baikampady (Karnataka Beary Kala Rathna), Vidhooshi Shalini Athmabhoshan (Karnataka Nrithya Kala Rathna), Devada Eshwara Mangala (Karnataka Yakshgana Sadhaka Rathna), Dr Sudhakar Shetty (Karnataka Shikshana Rathna), Rathi R Shetty (Karnataka Seva Rathna), Dr Mahabaleshwar Rao - Sukanya Kalasa Udupi (Karnataka Dampathi Rathna). Ten organisations will also be honoured. They are Lavanya Byndoor (Drama), Thingale Sahithyothsva Samithi (Sahithya), Gopala Krishna Yakshagana Gombeyata Sangha Kasargodu, Mayuravarma Samskrithika Prathistana (Horanada Sadhaka Samsthe), Gayathri Parivar Dahisar (Women and Social Awareness), Gurukula Professional College Karkala (Education), Yugapurusha Pathrike Kinnigoli, Times of Kudla Tulu weekly, Nandalike Ayanothsava Samithi will be held. Meanwhile, Bala Yuva Prathibotsava and Bala and Yuva Prathibha Gaurava will be presented to multi-talented students and youth. They are � Karnataka Yuva Rathna awardees: Laxmisha Shetty (International Photographer), Sukumar Mohan (Drama Artist), Vivek Alva (Trustee - Alvas Education Foundation), Chitra Mithra (Artist Mumbai), Mahalaxmi Shenoy (Singer), Yathish Bengre (Organiser), Balachandra P V Saligrama, Monica Rao, Chandrahas Sadu Sanil, Sharath Bhat. Bala Prathiba awardees: Gagan Gaonker (Zee Tv Little Champ), K G Deeptha (Yakshagana), Shubhanga D Bhat (Multi Talent), Pradumna Moorthi (Drama), Shanlini Bhat, Raksha R Shenoy, Nithish Byndoor, Prasad R Shenoy, Reema Priya D�Souza, Anusha Prabhkar, Mohir, Sathwik Nayak, Sushmitha Kasargodu, Ashwitha Nayak and Prema Bairampalli. A session on women will be held at 9 pm which will be presided over by Savithri Manohar. The midnight poets meet will be presided over by Dhananjay Kumble. Midnight cultural competition on the theme �Sahitya, Sangeetha and Karavali Samskriti� will be held. A session on youth will be held at 1:00 am. Yaksha-Gana-Ashu Vaibhava will also be held. A S N Hebbar has been into Journalism for 50 years. He began writing from the time when he was a student in Government College, now known as University College, in Mangalore from 1957 to 1960. He used to go to the Kodialbail office of the Navabharat Kannada daily to hand over news and features into the hands of Bananje Ramacharya in person. Hence, in 1969, before the official launch of Udayavani, on instructions from editor Ramacharya, Hebbar used to send news from Kundapur for the experimental issues. From day one of Udayavani on January 1, 1970, Hebbar had been the sole reporter from Kundapur taluk. His human interest stories and literary headlines were popular. Recognizing his capabilities, editors like Khadri Shamanna and R Sheshadri, who came to Kundapur those days, appointed Hebbar to be their correspondent for both publications. Hebbar's 'Sarparajana Cycle Savari', a human interest story acquired prominence at the national level and won special appreciation from T S Ramachandra Rao, popular as TSR. His reports on the 'buried silver in Kundapur coast' carried juicy details. When Kudubi's Kalaburgi area caught fire, Hebbar filed touching stories, which paved way for the entire area getting rehabilitated with the assistance received from donors. Such was his prowess as a powerful writer. Once while Ganapati, a lad from Andhra, happened to visit Byndoor and landed in the police station without any help or support, Hebbar contacted Editor Ramoji Rao of 'Ee Nadu' Telugu newspaper, who in turn published a report with picture in his paper. Thus, he succeeded in uniting Ganapati with his parents. Hebbar, at 79, is still contributing to different publications as a columnist. He has been writing travelogues to "Kunda Prabha" and "Suddi Mane", sharing his travel experiences all over. He is deft at writing stories, humour, essays and poetry. A story that he had written as a student for 'Prajamata' for its Deepavali story competition had won a prize. Hebbar, being the founder-president of Kundapur Taluk Journalists' Association, had formed the Udupi District Working Journalists' Cell and had given a constitution to it. He remained its founder as well as vice president. He continues being a life member of both these organizations. Having started his career as an advocate from 1963, he completes 50 years of legal practice next year. His father too was a renowned advocate. A S N Hebbar being a good organizer, was the founder secretary of DK District Advocates' Cell. He was the Rotary district 2180 centenary governor. He was also the founder president of Udupi District Kannada Sahitya Parishat and was elected twice. He presided over the Udupi District 27th Kannada Sahitya Sammelana and has served as president, Hangarakatte Yakshagana Kala Kendra, president of B R Rayara Higher Primary School administrative council, president of Roopa Ranga theatre group in Kundapur and as founder president of Jaycees. Besides, Hebbar is a good orator, actor, poet and much more, all rolled into one, a multifarious personality. He is creative and socially productive even now. Having born in Kundapur, he leads a peaceful and quiet family life with wife Sudha, 3 children Raghunandana, Swati, Shrivatsa and 6 grandchildren. Congratulations!!! May God grant you the strength and wisdom to enlighten the minds of people and bring to light the reality and grant justice to the suffering. "Your dedication, enthusiasm and insight are really inspiring. I wish you many years of great achievements". Congrats Violet, you really deserve it for your selfless service to the poor. Ms. Violet congratulations! Your hard work has been recognized. Happy for you . Congratulations Violet. You made us proud. you deserve it.